75 Park Lane is a 37-story condo tower near the Hudson River waterfront. 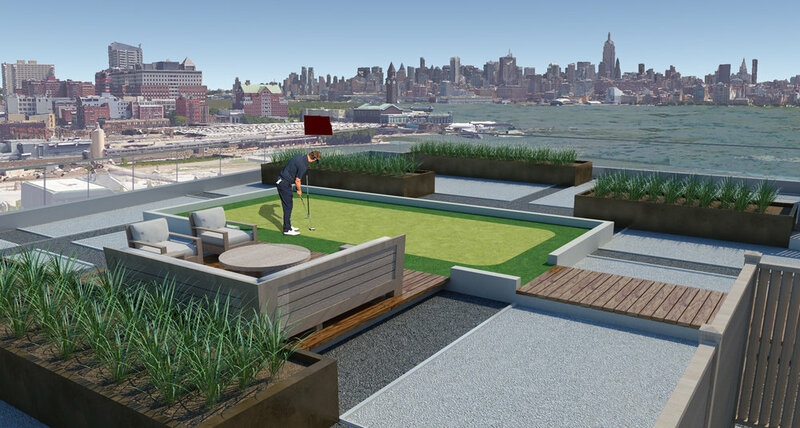 Design included 3 amenity terraces including an outdoor gathering space, putting green and dedicated children's area. Collaboration with multiple disciplines allowed each space to be an extension of the adjacent indoor amenity space creating a unique, safe and inviting environment for building residents and their families.